This wooden board was carved in 1980 by a local craftsman in Antigua, WI. It's the type of board used by taxi drivers to play with while they are parked and waiting for a fare. The board is hinged and can be folded in half for easy storage. This is not a novel local idea, but the use of the metal cabinet hinges are. Examples of folding boards from Africa during the last century have been cited in the literature. 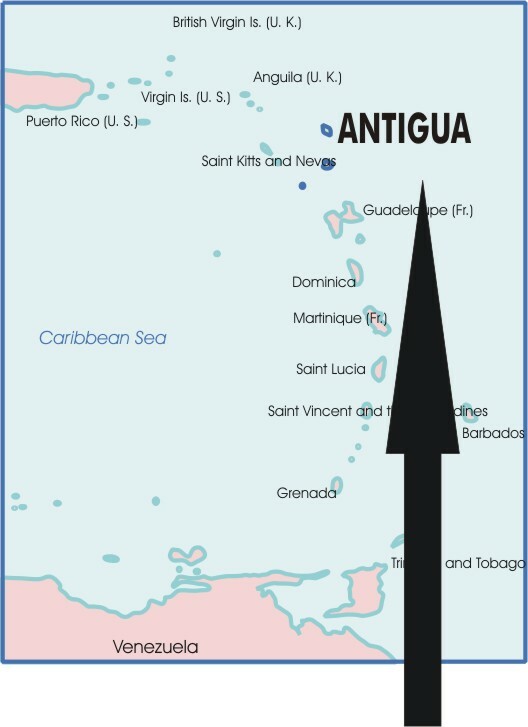 Consequently, it may be assumed that the concept of a folding board may have been brought to the Caribbean area by African slaves. Each side of the board has a carved handle used for carrying the folded board. When the board is open, the playing surface includes two rows of 6 (6.2cm diameter) depressions and two larger central storage areas. The board is decorated with incised semi-circles. When the board was purchased by the Museum for its collection, about 50 dried beans were included for use as counters in the game. The play of the game varies, and is dependent upon the culturall traditions of the players. The variation in the spelling of Wari with one "r" is a local factor.